Observation - Harvestman - UK and Ireland. 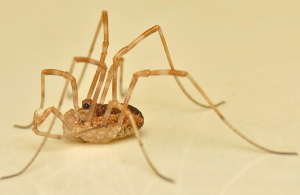 Description: One of the few spring harvestmen. Found at the bottom of moth-trap. One of the few spring harvestmen. Found at the bottom of moth-trap.